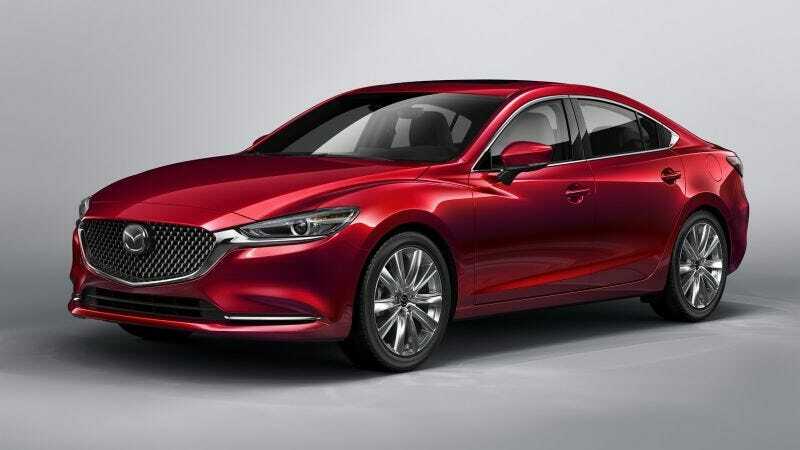 So, I’m reading up on cars to avoid work, as usual, and see that the Mazda 6 is getting the turbo 4 from the CX-9. What’s interesting about this to me is that my Mazda dealer told me about this last Spring. I was sitting in a CX-9 (I was there to test the Miata and a new 6; those test drives are on video on my computer), and the owner was chatting with me telling me he was at a dealers meeting where they told him the new 6 was gonna get the CX-9 motor. I smiled politely and with some interest, but didn’t entirely take that as certain because I didn’t think Mazda released finalized info like that so far out from the unveiling. I treated it as a rumor, albeit one with some weight. An aside about my dealer: he and his family are huge Mazda fans and race rotaries. Well, they must have some money because they decided to turn their hobby into their business and bought out this location from the multi-location dealership conglomerate that was selling. So now they are what all of us wish our dealers were: car nuts who care about driving what they sell. I still feel kinda bad that I gave my business to the Kia dealer.